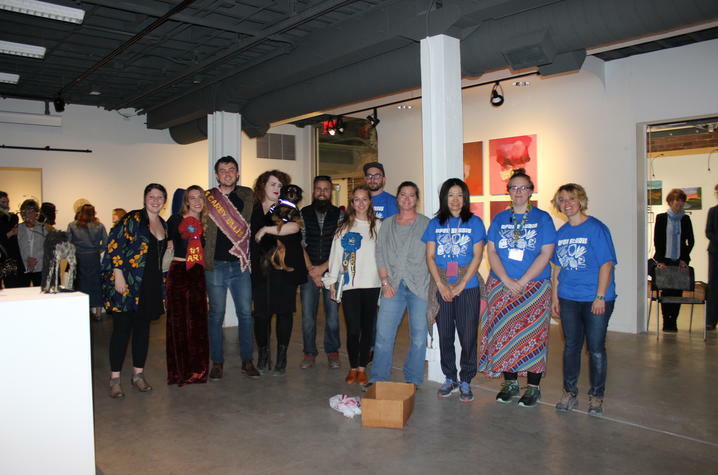 LEXINGTON, Ky. (Feb. 28, 2018) — Eleven art students from the University of Kentucky were recognized during the 2017 Carey Ellis Juried Student Show this past December. The Carey Ellis Juried Student Show is part of the UK School of Art and Visual Studies popular visual art celebration, Open Studio, held in the Art and Visual Studies Building. Meredith Matia, an art studio and digital media and design senior, who is also minoring in art history, from Cleveland, Ohio, who took second place. 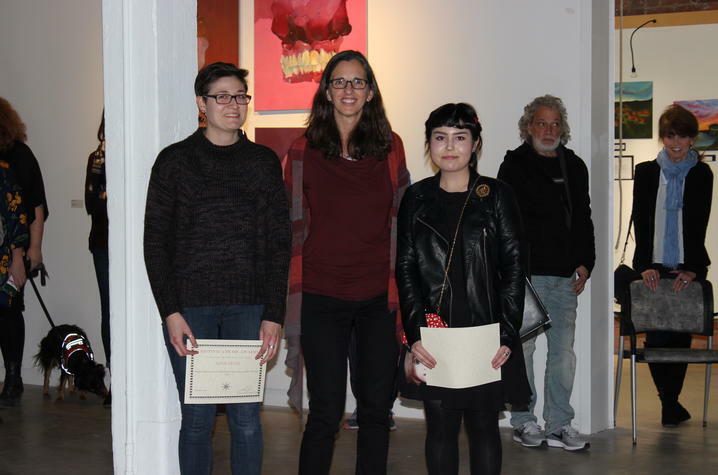 Other school honors presented at the show included the Arturo Alonzo Sandoval Fiber Award. These awards were given to Aya AlJabiri, a 2017 art studio graduate, from Lexington, and Alex Lewis. 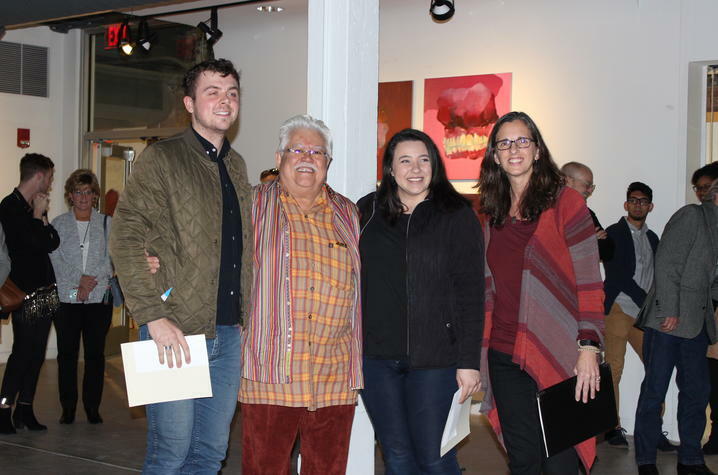 The Sandoval Fiber Award, presented by the recently retired Alumni Endowed Professor of Art Arturo Alonzo Sandoval, is awarded to artists whose work reflects the significant use of fiber. The Theophilia Joan Oexmann Awards were given to Nicolette Lim, an art studio senior from Lexington, minoring in art history; Andrew Campbell, a 2017 art studio and integrated strategic communication graduate from Louisville, Kentucky; and Alexis “Ali” Deane, an art studio senior, minoring in art history, from Brevard, North Carolina. Faculty of the School of Art and Visual Studies presented the Oexmann Awards to students who showed great promise in their work through creativity and originality. 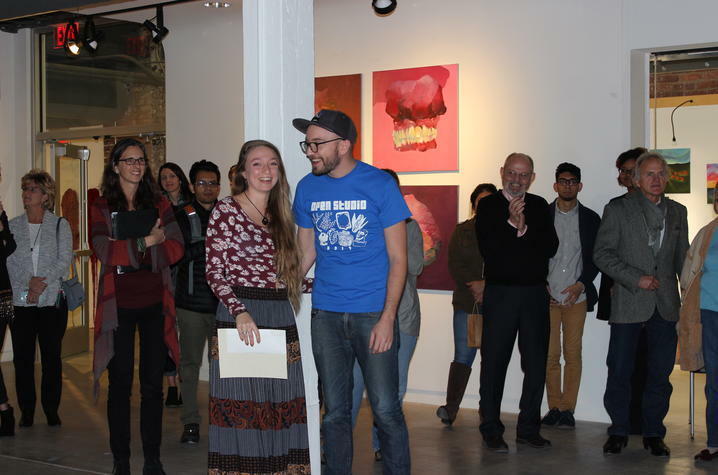 The Ross Zirkle Memorial Art Studio Award was presented to Hayla Ragland, a Lewis Honors College member and art studio and psychology senior, minoring in art history, from LaGrange, Kentucky. Created in memory of faculty member Ross Zirkle, funds for this award were raised by donations from family, friends and former students of Zirkle. 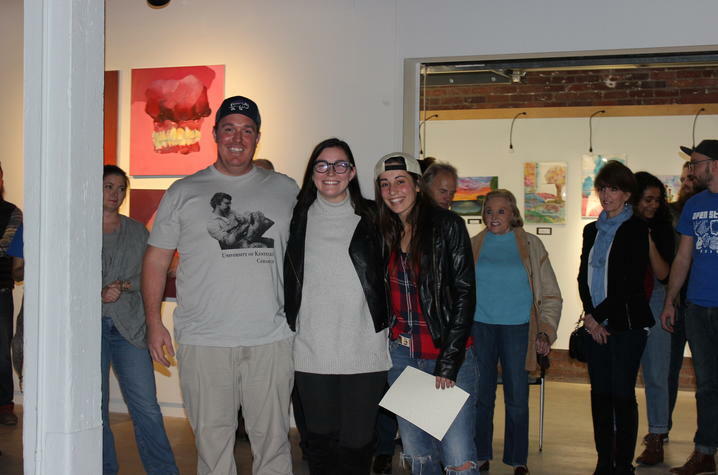 This award is presented to a student who is studying printmaking or drawing, and demonstrates qualities of artistic excellence, hard work and interest in helping the community, like Zirkle. UK’s Windgate Fellowship nominations went to Taylor Davis, an art studio senior from Lexington, and Delany Bal, an art studio senior, minoring in art history, from Morgantown, West Virginia. UK was allotted two nominees to be considered for the prestigious Windgate Fellowship, one of the largest awards offered nationally to college graduating art students. 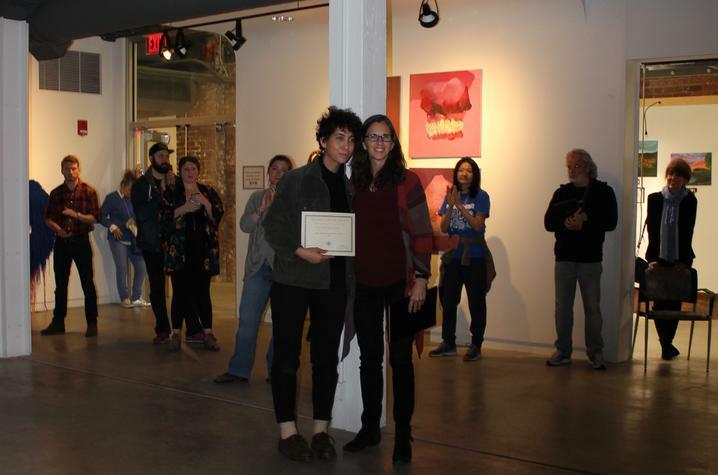 Grace Mayeur, a 2017 art studio graduate from Columbia, Tennessee, was awarded the new Back Alley Press Excellence in Printmaking Award. The UK School of Art and Visual Studies, at UK College of Fine Arts, is an accredited institutional member of the National Association of Schools of Art and Design and offers undergraduate and graduate degrees in the fields of art education, art history and visual studies, art studio, and digital media and design.